Last week on January 9 at CES 2018, Huawei announced that their latest flagship device, the Huawei Mate 10 Pro, will be debuting in the US next month. The Mate 10 Pro will be available in major US retailers on February 18, 2018, with pre orders beginning on February 4th. This device will be unlocked for $799 and will come in three colors: Midnight Blue, Titanium Grey, and Mocha Brown. There will even be a premium version of the device called the Porsche Design HUAWEI Mate 10, sporting a Huawei and Porsche collaborated design and even more storage (256 GB ROM). The more exclusive Porsche Design HUAWEI Mate 10 will be available at the same time and will go for $1225 and will come in Diamond Black. Let’s take a peek at the Huawei Mate 10 Pro. At first glance, the Huawei Mate 10 Pro is a gorgeous-looking device that comes out swinging in the specs department on paper. 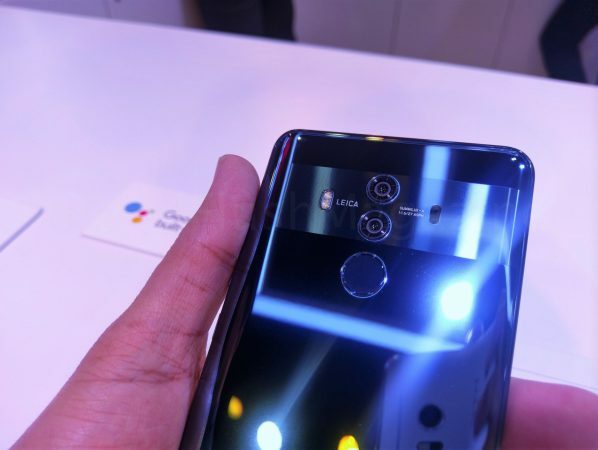 The Mate 10 Pro sports Huawei’s new Kirin 970 Octa-core processor, complete with a Neural Network Processing Unit (NPU) that touts high end performance with efficient power usage. Its camera is a Leica Dual Camera with SUMMILUX-H lenses that uses the NPU’s AI for real-time scene and object recognition. The main 20MP camera, complete with optical image stabilization (OIS), promises to capture more light with more clarity than ever before. You get see all of those shots that you take and more on a 6-inch QHD+OLED HUAWEI FullView Display. That very display sits on the front of a 3D Glass Body that is IP67 water and dust resistant. The device is ready for Gigabit LTE speeds and comes with a 4000 mAh battery complete with Huawei SuperCharge technology to make the most use of that USB-C port. The Huawei Mate 10 Pro will come complete with the standard phone essentials as well a pair of USB-C earphones, a USB-C to 3.5mm headphone adapter, protective film, a protective battery cover and a transparent protective case. After the Huawei Mate 9 impressed us enough to make it on our 2017 Holiday Gift Guide, we wondered if Huawei can possibly top their last flagship. Well at face value, Huawei has made a more-than-impressive bid at that with the Huawei Mate 10 Pro. We hope to get our hands on one to put it through a proper and thorough review!